From paper cranes to pizza, Kaleb is all in. He is a hands-on kid that loves sports and crafting. Kaleb has a heart of gold as he loves to help others. Recently he participated in a class project to make blankets for the homeless. Kaleb has some developmental delays, and he longs for a forever family that will understand and meet his needs and help him continue the amazing strides he’s made so far. 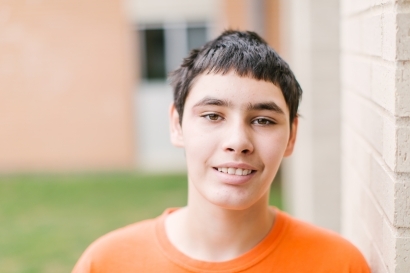 Kaleb would thrive in a loving home where he can be the only child. Oh, and if you have lots of paper and are ready to learn origami, Kaleb is sure to be hooked. If you are interested in more information about Kaleb fill out the form below.